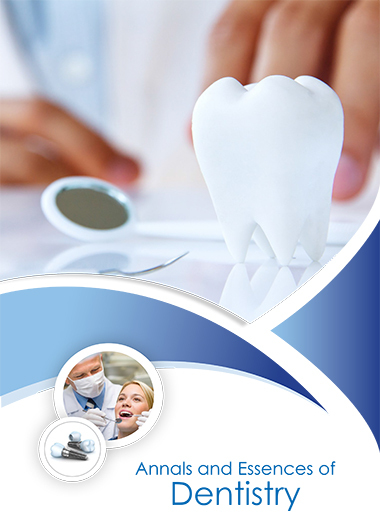 Annals and Essences of Dentistry offers an international, peer reviewed and open access platform for publishing recent advances in the field of dental and allied sciences for the benefit of clinicians, other fellow researchers, industrialists and academicians. Being a broad scope journal, it covers Oral disorders and medicine, Oral radiology, Oral and maxillofacial surgery, Orthodontics, Oral implants, Oral epidemiology, Pediatric dentistry, Dental materials, Endodontics, Periodontology, Prosthodontics, Community and public health dentistry and other connected topics. The journal welcomes write-ups for possible publication in the form of original research articles, review articles, and clinical studies from all the relevant subject categories. Annals and Essences of Dentistry uses Editorial Manager System[EM System] for a qualitative and prompt review process. Editorial Management is an online manuscript submission, review and tracking system. Review processing is performed by the Editorial Board Members of Dentistry Journal or relevant experts from other Universities or Institutes. Minimum two to three independent reviewer’s approval required for the acceptance of any citable manuscript. Authors may submit manuscripts and track their progress through the EM System. Reviewers can access the articles and submit their comments. Editor also can assign reviewers and communicate decision on manuscripts. Elite group of experienced editors are extending their vigorous patronage towards the journal. Rigorous double blinded peer review is followed to insure the article’s quality before it gets published. Authors’ scholarly work undergoes critical scrutiny by experts in the same subject to check for scientific correctness, reach of sound conclusions etc. The journal supports open access publishing model to maximize the visibility of published research for wider global dissemination.